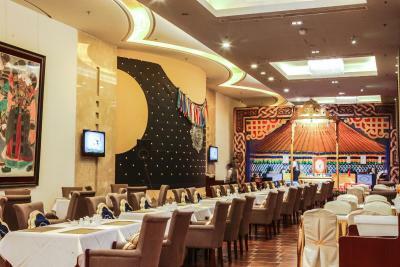 Lock in a great price for Inner Mongolia Grand Hotel – rated 8.2 by recent guests! Location, friendly and helpful staff, very nice place, will definitely stay there again. The location was good - very central, between two convenient subway stations and close to many of the major attractions in central Beijing. Breakfast was excellent. Staff were friendly and generally spoke some English. ATMs inside the hotel were convenient. The Mongolian theme was cool. Clean and well located hotel, close to two subway stations. Excellent breakfast. Great location, close to the centre of Beijing. The room was excellent, very well equipped. Would recommend it. We booked 2 family rooms for totally 6 adults and 1 baby, they set up the extra bed after we checked in. The staff were helpful when we need introduction on the local transportation. Room space is larger than normal and bed is comfortable. 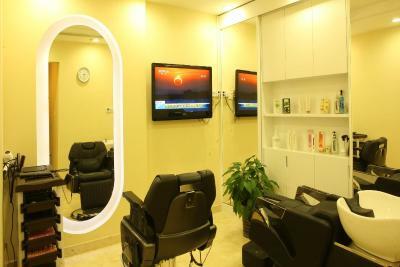 The location is great, very close to subway station. You can find expensive restaurants within 10 mins walking distance, but not too many economic choice close by. restroom was huge. 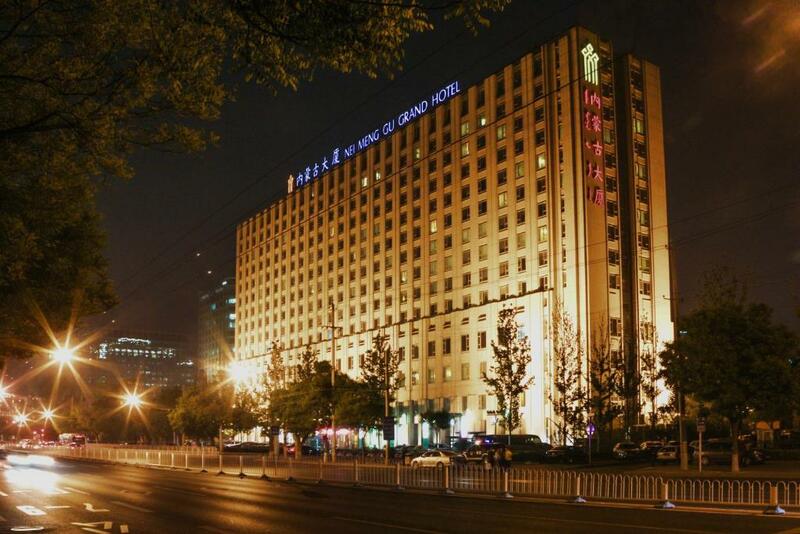 One of our top picks in Beijing.Infused with Mongolian charm, Inner Mongolia Hotel is located 5 minutes' walk from Dongdan Metro Station (Line 1 and Line 2), 7 minutes' drive from Beijing Railway Station and less than 15 minutes' drive from the famous Tiananmen Square. Offering free WiFi, it features 3 restaurants and a fitness center. The Grand Inner Mongolia Hotel is 15 minutes' drive from Wangfujing Avenue. The Palace Museum is 18 minutes' drive away. Sanlitun is 30 minutes' drive from the property. Capital International Airport can be reached in 55 minutes by car and 1 hour and 20 minutes by Metro. 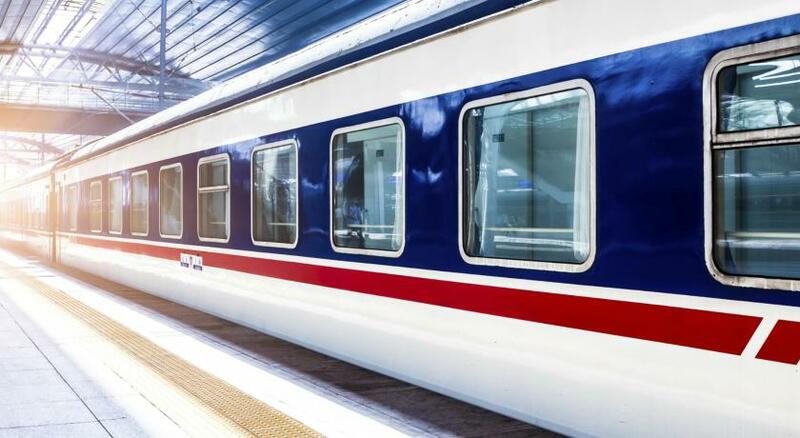 It takes 20 minutes by car to Beijing South Railway Station and 30 minutes by car to Beijing West Railway Station. With large windows ensuring enough natural light coming in, the air-conditioned guestrooms feature spacious interiors with modern furnishings. Each room is equipped with a mini-bar, tea/coffee making facilities and a flat-screen TV with cable channels. Staff at 24-hour front desk can assist with luggage storage services. The tour desk can assist with making travel arrangements. You may work out in the gym or go for a massage at the wellness center. 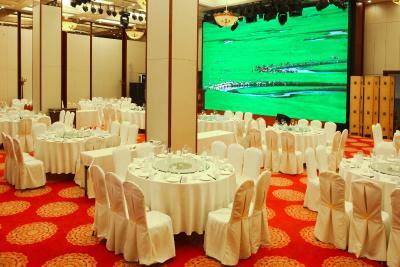 When would you like to stay at Inner Mongolia Grand Hotel? Air-conditioned room with a flat-screen TV, personal safe and mini-bar. Bathroom has a shower and bathrobes. Please note that if 3 people stay in the room, the extra bed will be a roller bed. Please note that this is a nonsmoking room. Thanks for abiding the rule. Large room features a daybed and an air purifier. Please note that if 3 people stay in the room, the extra bed size is 1.2 x 5.9 feet. Spacious suite features 1 bedroom, 2 bathrooms and a separate living room. Air-conditioned room with a flat-screen TV, personal safe and mini-bar. Bathroom has a shower and bathrobes. It offers free WiFi. 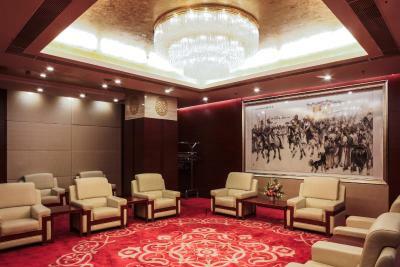 Inner Mongolia Grand Hotel is provided with 339 rooms, including standard rooms, single rooms, business rooms, suites and rooms for the disabled, as well as smoke-free floors. 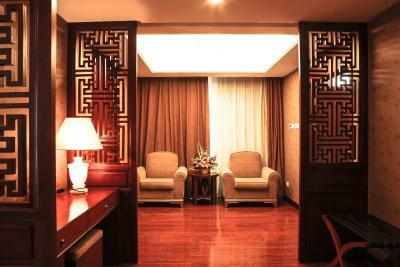 The rooms are comfortable and clean with a warm and elegant environment and perfection supporting facilities. 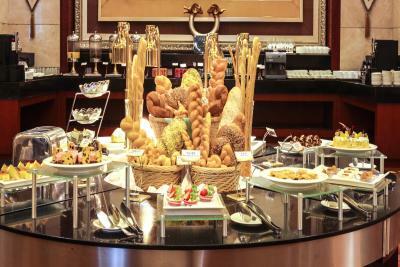 Food in the Grand Hotel is mainly of Inner Mongolian style which is featured as strong-flavored and classical, such as thick and mellow pot tea, shao-mai tasting fine and smooth and Mongolian pies with thin skin and much filling.The Hotel is equipped with 10 private rooms of different styles, providing songs and dances of the Mongol nationality while you are enjoying your meal. 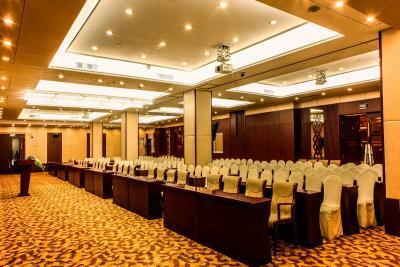 Inner Mongolia Grand Hotel is provided with a total of 12 small, medium and large conference rooms which can serve 20-230 people . 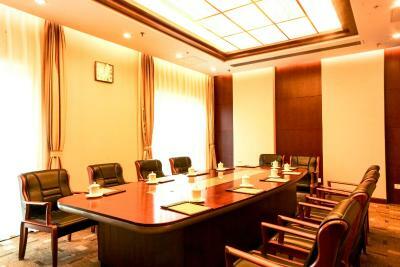 Multi-function conference room is equipped with advanced audio and visual stereo equipment. Performer from Tengri Haya Art Troupe of Beijing Inner Mongolia Grand Hotel come from different regions in Inner Mongolia and Bortala Mongol Autonomous Prefecture in Sinkiang, mainly of Mongol nationality. 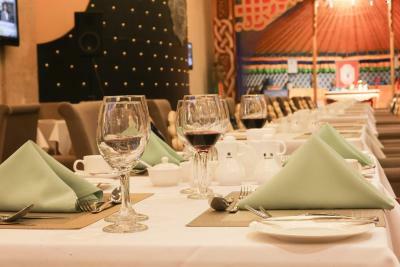 House Rules Inner Mongolia Grand Hotel takes special requests – add in the next step! Greatwall Dragon Pacific Inner Mongolia Grand Hotel accepts these cards and reserves the right to temporarily hold an amount prior to arrival. 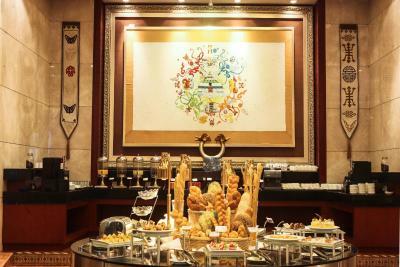 Inner Mongolia Grand Hotel accepts these cards and reserves the right to temporarily hold an amount prior to arrival. Please note that all guestrooms and all function areas are nonsmoking areas. Thanks for abiding the rule. scammers I rented 7 rooms. 7000 yuan was withdrawn from the card. the staff guaranteed a refund within one day. no money came. I received a return of 20 days in the email. a month has passed - there is no money. these are scammers. Big comfortable room. Friendly staff. Unfriendly and impatient receptionist when they asked for deposit and payment!!! As foreign tourists who doesn’t have local contact numbers, need to use account login to hotel WIFI, first receptionist given wrong account number by writing, called the hotel front desk, they sent floor manager to handle, but the manager also didn’t know how to handle the issue.. Despite being non smoking there was often an odour of smoke in corridors. 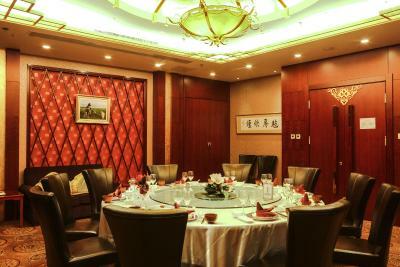 The location was excellent - close to Tiananmen Square and also to the subway- an ideal central base. Also good to have local park opposite as well as hutongs close by- where I ate breakfast most days. Rooms were spacious and clean. Heating was efficient. Beds were comfortable and large. The property felt safe and secure. Plenty of lifts so rarely had to wait. Concierge was helpful, spoke good English and were helpful getting taxis, speaking to Chinese friends to assist in getting to correct location and arranging a tour. Assistant managers spoke good English- receptionists more limited. Restaurants only used a couple of times- good choices and tasty though bit pricey. The best part of the hotel is that it is really close to the subway station. The staff may also advise on how cold it could be out of the hotel for those first time visited during winter..
Staff I approached are very helpful,informative and patience. The location is near to the places like Forbidden City, Tiananmen,etc. The breakfast was good too. The communication with the reception staff had challenges. Miscommunication leading to confusion regarding room and services. The shower was excellent. Good tv channels. Nice big room. Friendly and very helpful concierge staff/doormen. Liked close location to the metro. Liked the Inner Mongolia story/theme was very interesting and unique. Too hot in the room. Couldn't easily adjust the temp. Maybe an explanation about that at the control would be helpful. Lovely room, view, clean, beautiful bed. Great breakfast. Clean and big room. 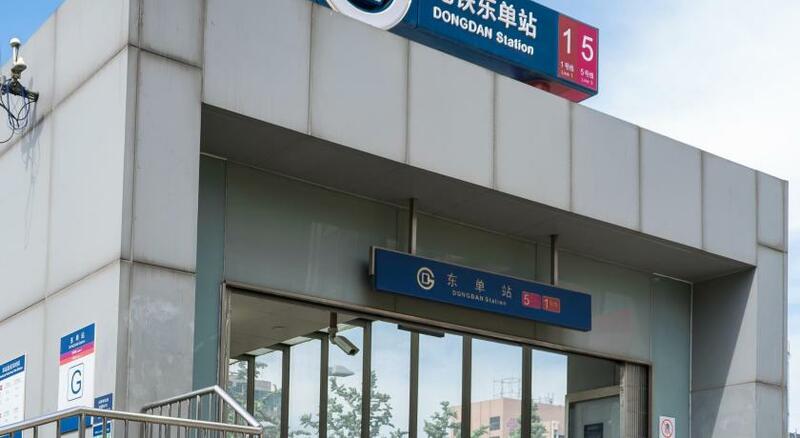 Close to subway line 1 and Wangfujin. 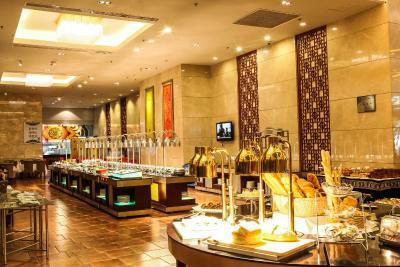 Multiple restaurants within the hotel.